Today's New York Times includes a "post-script" to the paper's Sept.12 piece that reported on the resignation of Charles Pelton, the former Washington Post executive at the center of the salon-gate controversy. In July, Politico broke news that the Post planned to host private dinners at the home of Post Publisher Katharine Weymouth, where corporate sponsors could mingle with Post journalists and senior Obama administration officials and policy-makers in an off-the-record setting. In the original Sept. 12 article on Pelton’s departure from the Post, the Times' media reporter, Richard Perez-Pena, wrote that Pelton hadn't informed Post executive editor Marcus Brauchli that the dinners would be "off the record." Pena's piece was based on an interview he had done in July, when Brauchli claimed he did not know about the dinner's off-the-record status. The Times piece, along with Brauchli's prior public statements, left many with the impression that Pelton was a rogue operative inside the Post who orchestrated the cozy confabs without explaining the terms to Brauchli or publisher Katharine Weymouth. When Politico first broke the scandal on July 2, Brauchli and Weymouth were able to create distance between them and the brouhaha: it was the off-the-record nature of the dinners, and the appearance that the Post was selling access to its newsroom and top Obama officials, that became the flashpoint. Pelton took the fall as the guy charged with planning the whole thing. Except, in private Pelton maintained the entire time that he had kept his superiors informed. The "post-script" published in the Times today culminates a behind-the-scenes battle that Pelton has waged against both the Post and the Times to clear his name. Through a series of private letters Pelton's lawyers sent to the Times, Pelton was successful in proving that Brauchli changed his story and the Times' reporting failed to reflect that he walked-back from his original claims of not knowing about the off-the-record ground rules. It all began on September 25, when Pelton, through his lawyer George Frost, succeeded in getting Brauchli to send him a personal letter stating that he "knew that the dinners were being promoted as 'off the record.'" For Brauchli, the letter was an embarrassing reversal of his prior public comments and an admission that he knew far more about the conferences than he first let on. With Brauchli’s revised-comments in hand, Pelton and his lawyer pushed back hard against the Times. On Sept. 28, three days later after receiving Brauchli's letter, Pelton's lawyer Frost wrote a letter to Times publisher Arthur Sulzberger, executive editor Bill Keller, Pena and the public editor that cited Brauchli's revised comments on the off-the-record question and demanded the Times issue a correction. 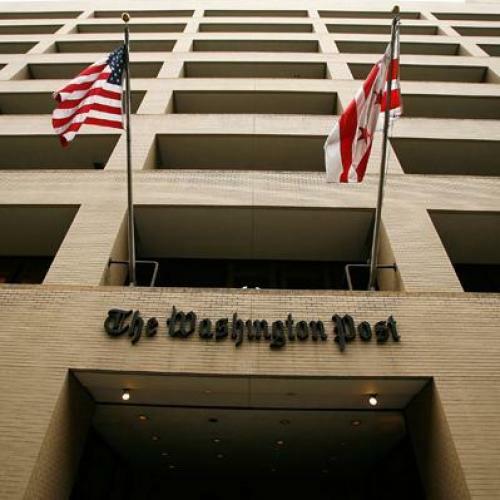 "The article is little more than a rehashed Washington Post press release, but pretends to include fresh comment from Mr. Brauchli," Frost wrote, according a copy of the letter he provided TNR. "Most fundamentally, Mr. Pelton should not be the victim in a "he said -- no he didn't say that" standoff between The Times and The Post. The Times has now been provided an "on-the-record" statement by the executive editor of The Post on this issue of fact. The statement is clear, and it contradicts the statement attributed to him in your September 12, 2009, article. One would think that The Times would consider this newsworthy in itself, or fix this out of a sense of journalistic rectitude." Pelton's lawyer struck back in a letter dated October 15. "The Times' apparent willingness to so casually toss Mr. Pelton's career on a scrap heap of shoddy reporting is disheartening," he wrote. "I do not understand what principle you seek to vindicate by refusing this correction. Do you really seek to defend your reporter's reliance on stale notes more than two months old - accurate or not -- and his failure to even attempt to contact Mr. Brauchli for the "Resignation" story? Is this what we should teach our students in First Year Reporting? Is it the Times' practice to fail to even try to contact the subject of a gotcha resignation story -- particularly a story by the Times' media reporter that focuses on the ethical "faux pas" of a rival? Who has committed a "faux pas" here?" The letter concluded that Pelton would seek legal action if the matter wasn't resolved. Frosts efforts ultimately paid off. In one way, Pelton and his former bosses at the Post are aligned on one point: both sides felt the Times had been unfairly aggressive in its coverage of salon-gate. Inside the Post newsroom, staffers were especially angered by what they saw as gleeful tone to the Times' coverage, which included a front-page piece on July 2, as well as follow up articles in the Business section and a highly-critical David Carr column headlined “A Publisher Stumbles Publicly at The Post.” "It was completely out the question" one Post staffer told me, referring to the Times' front-page placement of the story on July 2. As one of Weymouth's close friends put it to me: "The New York Times had a free for all." UPDATE: Richard Perez-Pena's September 12 New York Times article on the resignation of Charles Pelton, "the executive at the center of The Washington Post’s discredited plan to charge power-brokers for private dinners," reported that Pelton had left the paper, and near the end of the piece, quoted a prior interview with Post executive editor Marcus Brauchli, who told the Times in July that he had "not understood that [the salons] would be off the record." Pena's apposition of Pelton's resignation and Brauchli's misunderstanding of the salons' ground rules left me to conclude that Pelton resigned, in large part, because he did not make Brauchli aware of the off-the-record nature of the proposed salons. The implication that Pelton kept his bosses out of the loop is so clear, in fact, that Pelton's lawyer was successful in getting Brauchli to write a letter to Pelton saying Pelton did inform Brauchli of the dinner's OTR ground rules. Pelton's lawyer also succeeded in getting the Times to run a Post-script to Perez-Pena's article on October 17. In the Sept. 12 article, Perez-Pena was careful with his language. I incorrectly stated in my piece that Perez-Pena wrote that Pelton didn't inform Brauchli. That is inaccurate. Perez-Pena implied it; he did not state it explicitly. Also, I incorrectly said in my piece that Perez-Pena failed to reflect that Brauchli had walked-back his earlier comments on what he did or didn't know about the salons. What I meant to say is that Perez-Pena's Sept. 12 Times piece failed to reflect that it was clear that Brauchli had misspoken about the extent of his knowledge of the salons. By the time Perez-Pena wrote his piece on Pelton's resignation in mid-September, it was evident, as the Washington Post's own July 12 investigation showed, that Brauchli did indeed know about the off-the-record salons despite his earlier claims that he "had not understood" the ground rules. Perez-Pena's piece doesn't include updated comments from Brauchli or acknowledges the apparent contradiction created by his initial statements.